Kuripot Pinay: Are you Kissing your 13th Month Goodbye? Are you Kissing your 13th Month Goodbye? It's December! And when this time of the year comes we are always filled with glee because of the 13th month or cash bonuses we get. Or not? 13th month is an extra salary given to employees by their employers. In the Philippine setting, this is mandated by law. This is normally equivalent to a month’s pay. Hence, if you are earning 10,000 a month, you would also be getting the same amount. This excludes all allowances, benefits and bonuses. Imagine getting a whole month of pay without doing anything. See that is heaven. However, in spite of the added month salary, why is it that we can’t hold it for long? Assess right now, where did you spend your 13th month last year? Did you use it all up? How did you feel after spending it? Did you welcome the New Year with no money at all? Then don’t let this happen to you this year. We are going to re-manage your 13th month pay spending with a wiser approach. Stay away from sale and temptations. Buckle up with a lot of “NO” because you will need it so. Tip 1: Pay debts. Use a portion of your 13th month to pay debts. If you have credit card debts, loan debts, bank debts and more, allocate a big bulk of the amount to this. You don’t need to zero out the credit, though that would be nicer, however at least you get to decrease the amount. Aside from that, you save yourself from interest rates that can certainly make you broke. Plus, lesser credit is a good way to start another year. Tip 2: Save. Financial advisers always say to save, save, save. This holds true for your 13th month pay. Allocate a portion of it to build up your savings fund or emergency fund. 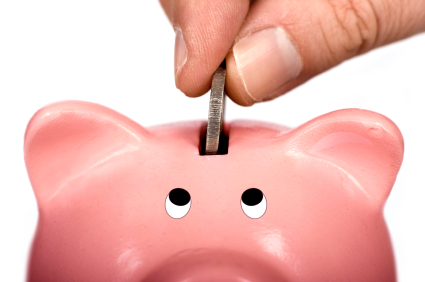 An emergency fund is an allocation that is good for three to six months of your expenses. In case you will lose your job or something bad happens to you, God forbid, you will still have money to cover your expenditures. If you are planning to save up your 13th month, I suggest stashing out 10% to 30% to beef up your savings fund or emergency fund. Tip 3: Invest. When I say investment this does not mean getting a new flat screen TV or a new gadget. I am referring to make the money work for you. Investing is making your money earn. To date, there are many great investments to start. You can get a trust fund and mutual funds offered by banks. You may also use the money to start up your business too. Tip 4: Give. It is the season of sharing and giving after all so might as well stash a few percent to give to your family and friends. If you feel generous, you may also share your money to charity. Perhaps a few portions would go to help our dear Yolanda survivors to brighten up their holidays even just a little. So if you already have your 13th month pay right now, start setting up the budget plan. Don’t be a one day millionaire and regret after. Be a wiser you today. Your wallet will thank you soon.